The members of IfNotNow DC stand with Nabra Hassanen’s family and with Muslim communities throughout the DMV. On Sunday, June 18, 17-year-old Nabra Hassanen was coming back from a late prayer service for Ramadan at the ADAMS mosque in Sterling, VA when she was abducted and beaten to death with a baseball bat. The police found her remains in a pond the next day. We at IfNotNow DC stand with Nabra’s family and with Muslim communities throughout the DMV. We will not sit idly by as a young Muslim teenage girl is murdered in our own backyard. This horrific act has sparked tremendous fear throughout Muslim communities across the country. We pledge to continue to lend our bodies, our voices, and our support to Muslim communities as they mourn this tremendous loss and fear for their safety. 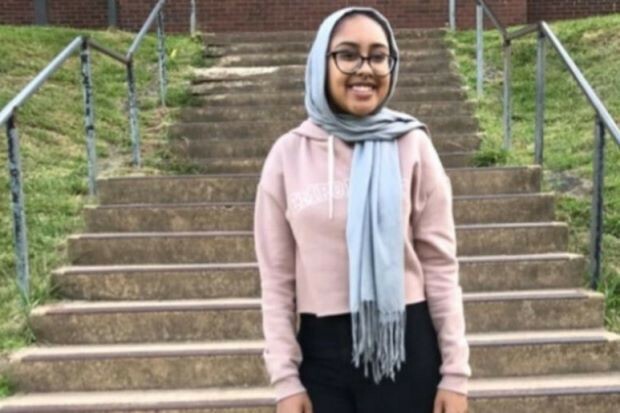 Nabra was from Reston, Northern Virginia, an area that is typically considered a part of the liberal Washington metropolitan area. But this area, with its supposed ethos of inclusion, has not protected Nabra, her family, or her friends from hate-based violence. Biases like Islamophobia run deep and prevent us from ensuring that our communities are truly safe and just for all residents. This sickening act of violence against a teenage Muslim girl represents a spike in anti-Muslim hate crimes across the country. In a recent report by the Council on American-Islamic Relations (CAIR), 2015–2016 saw a 57 percent increase in anti-Muslim prejudice incidents. This is not the first time that the murder of Muslim people in this country has been dismissed on trivial charges. In 2015, UNC Chapel Hill students Deah Shaddy Barakat, 23, his wife Yusor Mohammad Abu-Salha, 21, and her sister, Razan Mohammad Abu-Salha, 19 were murdered in their home not far from campus. The next day, Chapel Hill police released a statement that the crime was motivated not by anti-Muslim hate, but by a “parking dispute,” in spite of significant evidence suggesting otherwise. As Jews, we have had the privilege of having our claims taken seriously when we denounce an act as anti-Semitic, especially by the authorities. We in IfNotNow DC demand that Nabra’s father’s claims that this was an act of anti-Muslim hate are taken just as seriously. Jews understand what it’s like to be targeted for violence specifically based on religious garb, and we highlight the particularly hateful nature of this violence being committed during the holy month of Ramadan — though Islamophobic violence is not acceptable at any time. We expect our Jewish institutions to meet the Muslim community with the same unwavering support that they have met us with. When the Jewish Community Centers and schools of Northern Virginia were shaken by bomb threats, the Muslim community schools and masjids of the area sent letters of support, attended our Shabbat services, and were vocal and considerate in their solidarity. The Jewish community must meet their tragedy with action, not silence. We call on all Jewish Institutions to stand with the Muslim community in the wake of this tragedy. We ask them to demand justice for Nabra and her family by urging the Fairfax County Police to investigate Nabra’s killing as a hate crime, and to commit to ensuring public spaces are safe for Muslims to practice their religion and go about their lives. Updates and analysis from inside the Jewish movement to end the American Jewish Community's support for the occupation and achieve freedom and dignity for all Israelis and Palestinians.